Only 17 Joint Membership tickets left! Make someone's day with the ideal Christmas Gift! 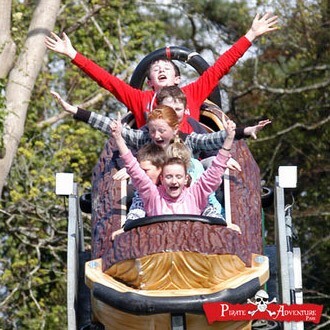 Give the Gift of a Great Family Day Out with a Pirate Pass. It’s a full day’s fun with water rides, slides, swinging ships, pitch & putt, Swan Pedaloe boats, train ride, bouncy castles, tours at Westport House, tennis, playgrounds, in-door soft play and more!